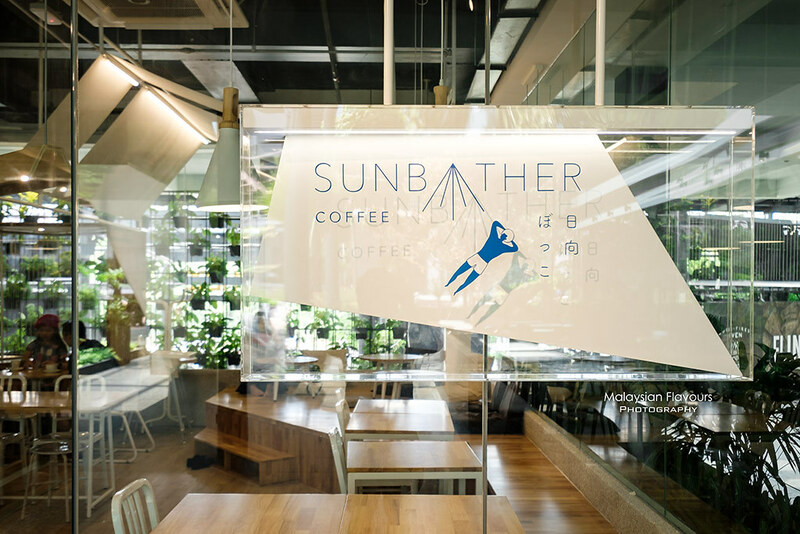 Sunbather Coffee Bangsar South menu highlights a worthy list of Instagrammable dishes, from Japanese-inspired rice bowl to wholesome pocket sandwich, comforting pasta, homey rolled cakes, beautiful latte art-topped coffee and more – expect this new cafe to soon becoming one of the hottest hang out spots in Kuala Lumpur. 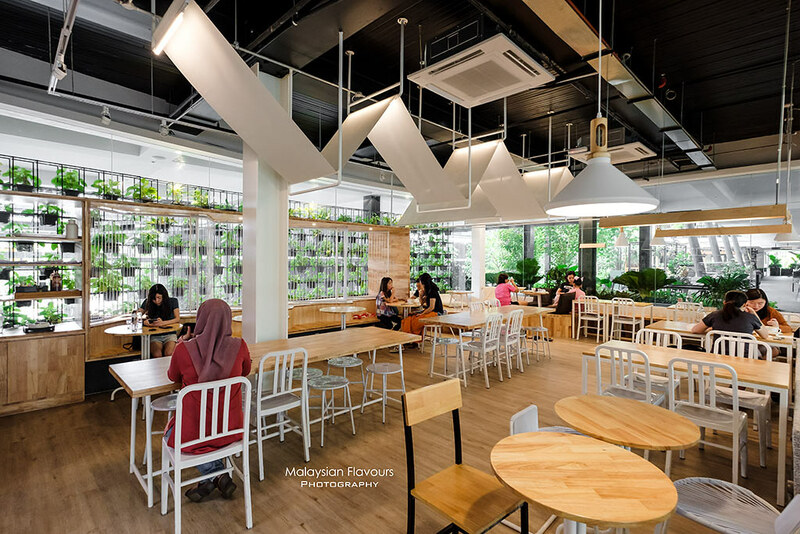 Specializes in Western-influenced Japanese cuisine and coffee, Sunbather Yōshoku & Dessert Cafe humbly opens its door to the public in the end of last December at The Sphere Bangsar South, with an interior that is as cheerful, laid-back as the cafe’s name. 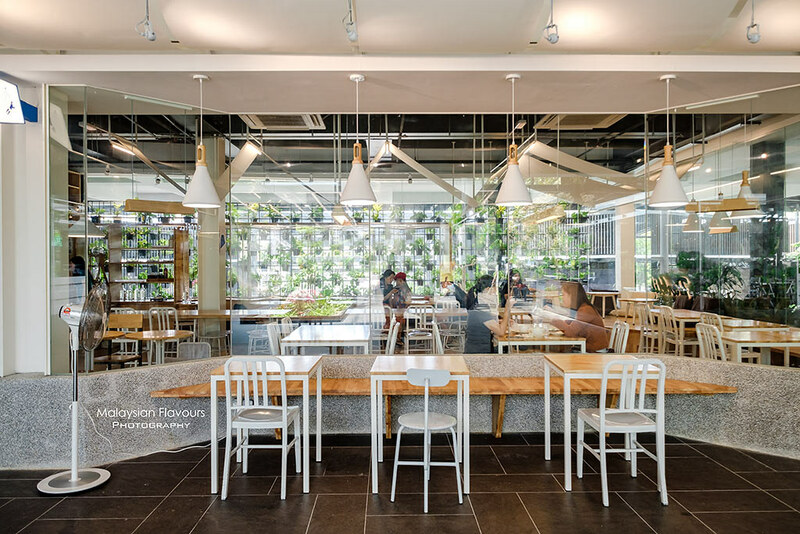 Light wood theme with white coastal design, giving a clean, fresh look like a seaside restaurant, minus the breeze. Lol. If you are not familiar with The Sphere, it might take you a while to locate the cafe. It is actually situated at the upper ground, two floors above AEON supermarket. Spot Barcook Bakery, it is next to it. Yes! This pocket sandwich. The reason why we are here. Hehe. 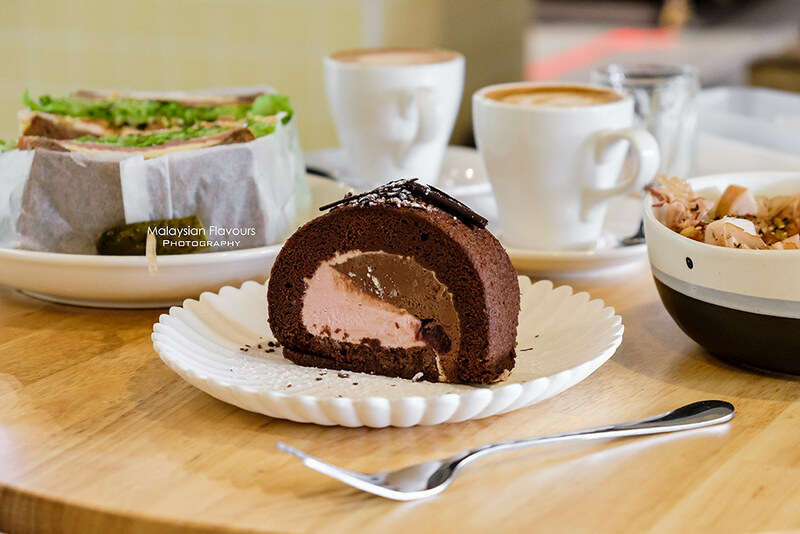 If you are a sandwich lover like Summergirl, this is the cafe you shouldn’t miss out. Maple Peanut Chicken Sando RM26 is generously layered with poached chicken bread, turkey han, apple slices, lettuce, tomato between two soft, fluffy dark rye bread, finished with mildly spicy-sweet sauce that does wonders in heighten up the overall flavours. Portion is really huge, bigger-than-our-face-wannabe-sandwich. Lol. Tasty, highly recommended. Don’t waste if you can’t finish it. Ask for take away. 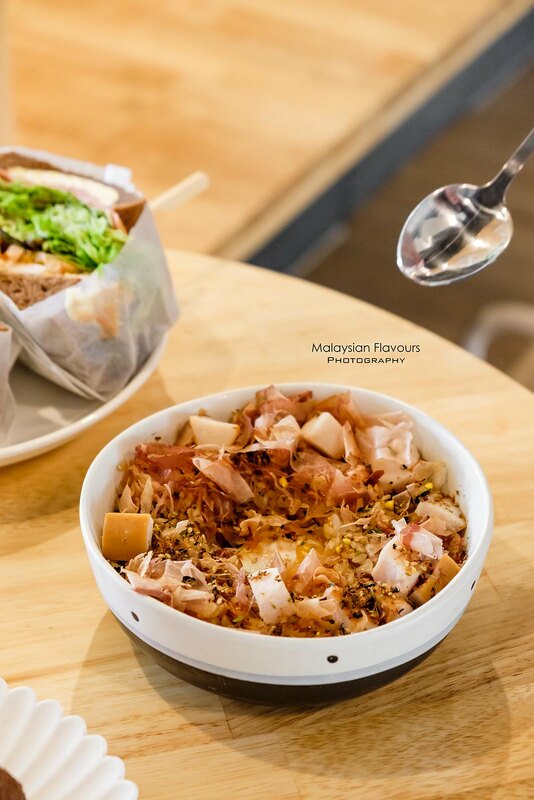 Sunbather Coffee also has Ajitsuke Tamago Sando RM20 – 3 marinated eggs, furikake, cheese, tomato, wasabi mayo, dark rye bread that seems equally delicious. Give it a try if you love eggs! Summerkid’s order. Japanese rice, topped with bonito flakes, smoked chicken cubes, onsen eggs and toasted sesame seed. 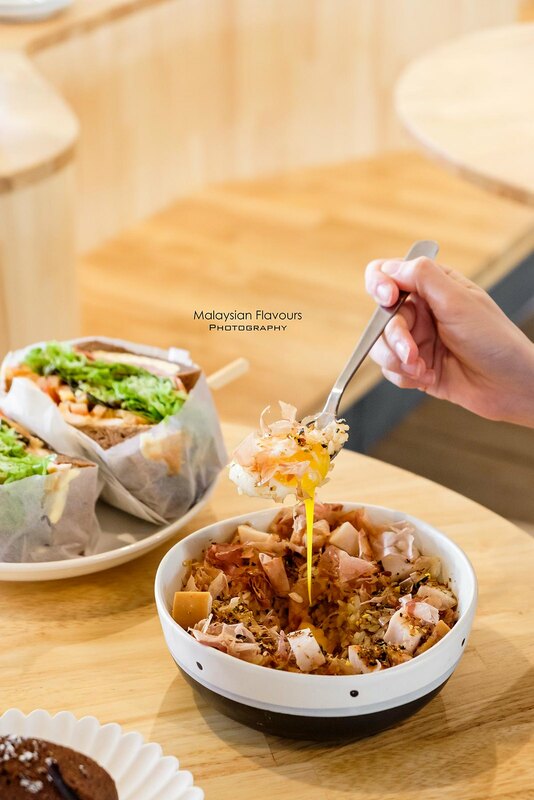 Personally we feel that breaking the egg yolk and mix it together with other ingredients gives more satisfaction in enjoying this comfort food. Other food options on Sunbather Coffee menu includes Fruity & Nutty Porridge, Egg & Sausage Muffin, Matcha Granola Yoghurt, Beef Hambugu, Big Breakfast, Spaghetti Aglio Olio with Mixed Mushroom, Greek Lamb Lagsania, Spinach Mushroom Lasagna and Shokupan Japanese Toast – also, one of the must-have in this cafe. For drinks, Sunbather is prides for their specially crafted cold beverage like Sparkling Elderflower & Grapefruit, Lavender Lemonade, Cold Brew Ethiopian with Apricot Ice cream, Iced Earl Grey Milk Tea, Brulee Chai Latte, Osmanthus Latte, Strawberry Milk with Ice Cream, etc.. We stick to the classic this round – hot latte prepared with love by the hearing impaired barista. Smooth, milky, well-frothed. Not forgetting their dessert! Japanese Roll Cake after the savouries. Available in Matcha Roll Cake RM10, Hojicha Roll Cake RM10, and Black Forest Roll Cake RM15. Ice cream is worth a mention too – made locally in small batches, without artificial dyes and preservatives yet colourful with unique flavours. Overall, pretty nice place with a good weigh of both classic brunch selections and delicacies with creative twist. Crowd wise, it is still unpredictable. Two hours there, we saw a half-filled, then empty and suddenly full-house scene. So “roller coaster” to the only front of house staff. Be patient if the waiting time is a bit long. Kudos to the friendly and accommodating staffs despite being busy.